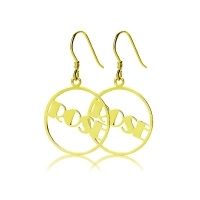 The color of this earrings is also available in Silver,Rose Gold& Platinum. 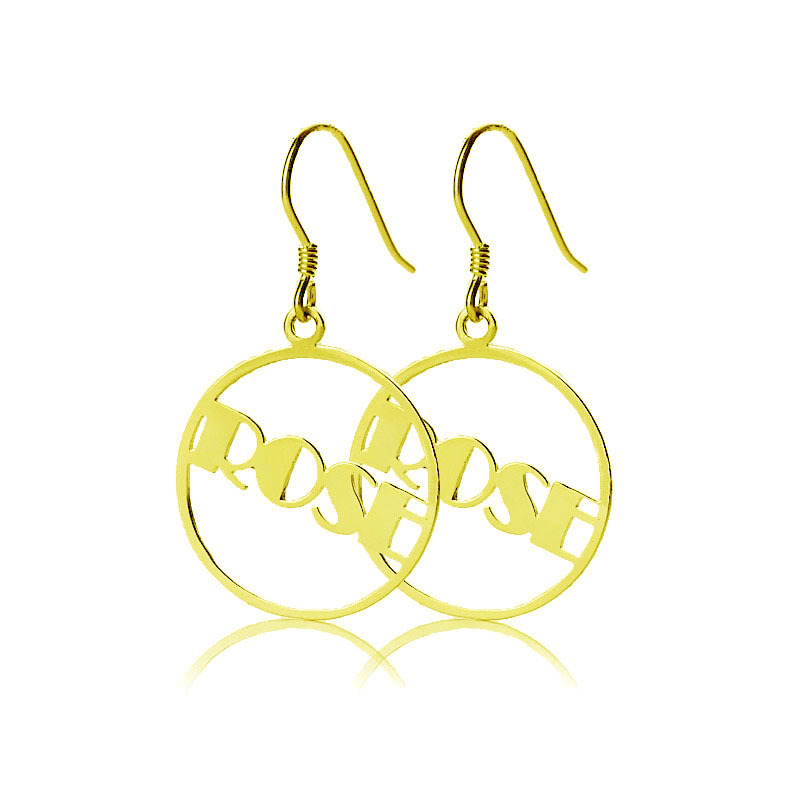 One-of-its-kind, you can own a pair of these stylish earrings that display your name encircled in a silver ring. Add it to your collection of personal jewelry. Enhance your personal bond with your beloved by gifting them this chic pair of earrings.